What a great start to 2013. 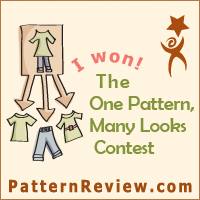 I love your dress and I'm sure you will find a "styling" option you are comfortable with. What a nice collection of machines. 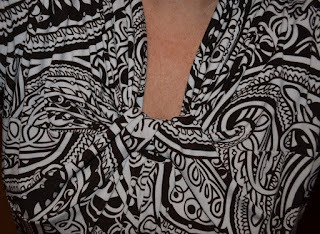 Love your dress - great fabric too. Glad to see you are blogging again. I have missed your blogs. Cute dress! Happy new year! You look great! Love your new dress! 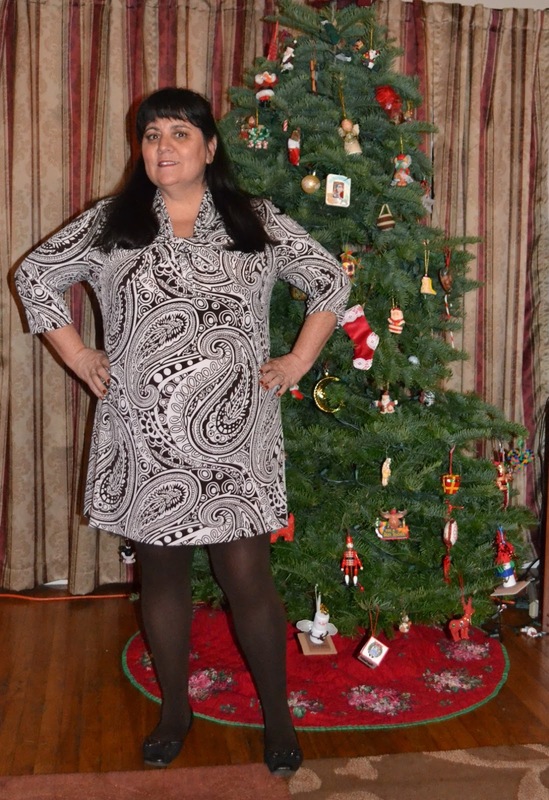 I think the dress/tunic looks great. Wear it with really dark, opaque tights and cute flats and wear it out the door. You look great! Really! Cute dress. Hope you find some leggings to wear with it. Cute dress and great find! Very nice dress and it looks great on you. I think the length suits you right where it is too. What I would do for a Rocketeer! My mom bought me one when I was 14 and I sewed on it till I got married, bequeathing it to my younger sister to sew on. I sewed my wedding gown on it. It was a dream machine. Your outfit is darling with that shorter length and the tights. Great look. Oh I love the dress! Very chic :) I don't think it's too short at all, but I understand about the leggings. Definitely go find some! I'm jealous of all of your machines. I have finally sold off all of my "extras" and I'm down to 3. 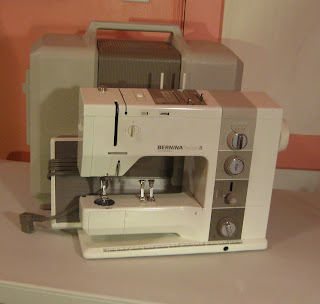 My Bernina Record 830 (LOVE LOVE LOVE), my Featherweight, and a Bernina Artista 220 that I'm holding onto for my girl. It looks absolutely fine in the photo, with those tights. Ho nestly. 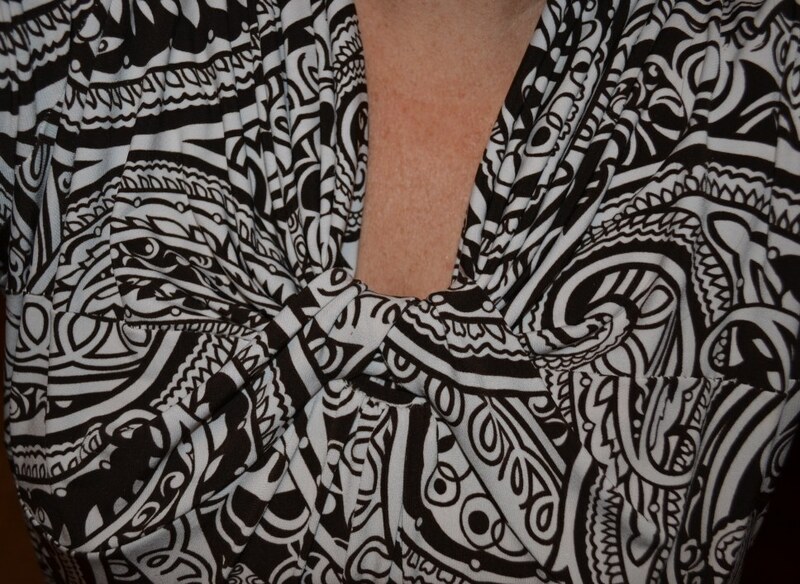 But if you're uncomfortable, maybe you will whack it off into a blouse. That dress is just the right length to show off your legs, which are nicer than you think! I'm wondering how that style fits around "the girls," which is why I haven't made it yet. Mary, no FBA necessary on this pattern. The gathers adds fullness that works. Sherril, you look terrific- get used to it! Really appealing to go fabric shopping with you in LA. What a great invite. Have you got a couch? Anytime you are in the area, Wendy, I'd be happy to shop with you. Where do you live? I have the same model, 930 which I was given back in 1985. It has been a truly terrific machine through the years. 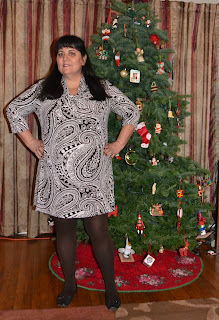 Love the dress/tunic out from this pattern-looks great. How nice that you are where there are such good knit buys. I have a 930 that I bought new in the 1980s. I love to work fast buttonholes on it-has never ever let me down-can't say that for the newer computerized machines here. I used to do a lot of ultrasuede appliques on it with the open toe foot and invisibile thread or machine embroidery thread when my daughter was showing horses in western pleasure. I could never let go of mine as I have so many feet for it. I did work some buttonholes the other day on my newer bernina artista and they were ok since they were on pajamas but I don't trust it enough yet to do say a blouse or jacket buttonholes.I think I am going to have a service done on it since it hasn't been in for 15 years. It was the last TOL bernina before the computer stuff happened I was told so I kept mine when I got a computerized machine. I am a big fan of this model-probably should just have kept it as my only machine instead of buying new ones willy nilly. I think it has been serviced twice and a new bobbin case in all these years-never anything wrong with it and I used to sew a lot on it every day.Great find you made. I love this! What a great basic. I think I'll add this to my wish list of patterns. Hi Sherril! I'm a beginning sewer from San Diego! I'm interested in your Bernina 930! If you are still interested in selling it, you can reach me at hillcrestroomie aT gmail D0T com. You look sensational in a mini-dress! Make more! The dress looks great on you to me--I think it works really nicely with the tights. I love red things, so that red sewing machine is super cute to me! If I wind up doing a little pre- or post-PR weekend LA fabric shopping I will let you know for sure!!! Kyle, I would LOVE to go shopping with you downtown.